This image is a result of really hard work. In the evening the weather was very bad and there was only a little chance for improvement. 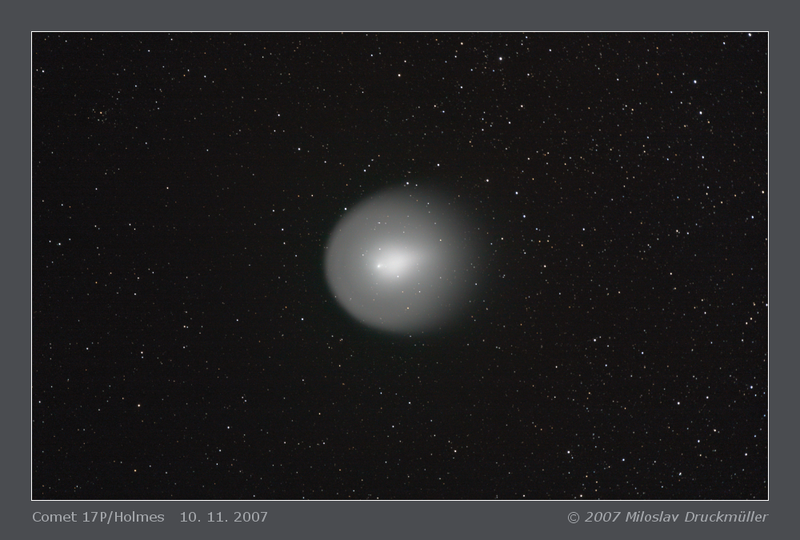 At about 1:00 of local time several holes in cloud cover appeared. 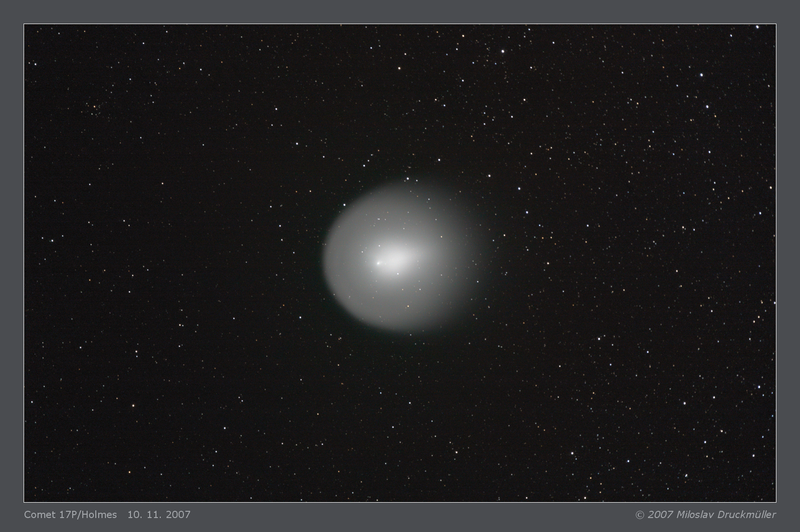 During two hours I took 58 images in numerous holes in clouds and finally I was able to create good image of Holmes comet.